John Harper recieving his Honorary BCS Fellowship from the then BCS Chair, Rachel Burnett. John Harper spent most of his career with ICL working on a wide range of machines starting in the early 1960s with the ICT 1500 and Powers Samas PCC and continuing with ICL 1900 and 2900 machines until he retired in the mid 1990s. During his career John qualified by evening study for membership of the BCS and IEEE including becoming a C.Eng. With his retirement John began the major task of rebuilding a British “Bombe”. The original machines were developed during World War II at Bletchley Park from an idea of Alan Turing’s to find the wheel settings used by the German Enigma machine. John started in 1995 with some drawings which had been declassified and gradually developed a full set of plans from which to begin to rebuild the Bombe. John built up a team of fellow enthusiasts whom he has led throughout the more than tem years of the project. In the early days he was able to obtain help from engineers who had worked at Bletchley Park or at BTM who supplied many of the original components. John has raised many thousands of pounds in sponsorship, in cash and kind, to enable the work to be completed. The project has been part of the BCS Computer Conservation Society’s programme throughout. The culmination of John’s project was the switch on by the Duke of Kent in July this year. The Bombe is a testimony to the many thousands who worked at Bletchley Park throughout the war - not just the famous few but also the many thousands (mainly WRENs) who just went home when the war was over and carried on with their lives. However, this project would never have been started without John’s enthusiasm and it is a tribute to his persistence that after 10 years the work is complete. The reconstruction is now on permanent public display at Bletchley Park. 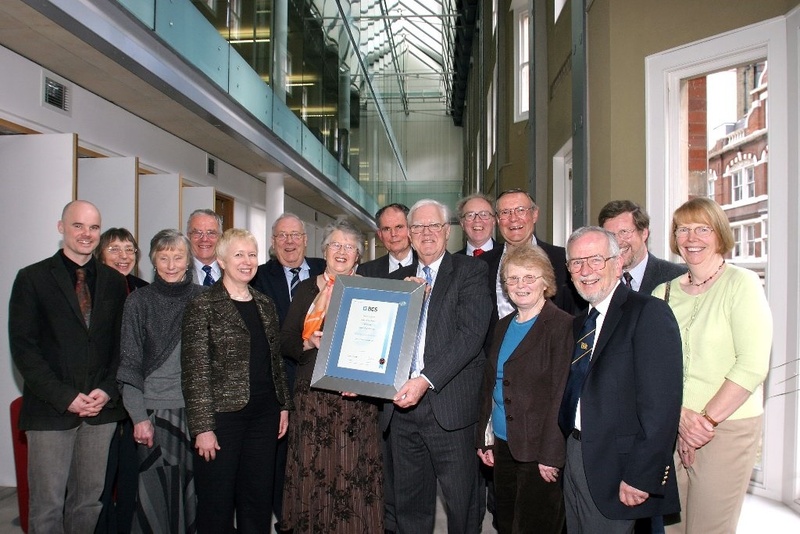 The BCS awarded an honorary fellowship to Tony Sale for the Colossus project some years ago. Many who have compared the two would say that the rebuilding of the Bombe with its tens of thousands of electromechanical components is at least as remarkable an achievement as that of the rebuilding of Colossus, and represents an outstanding contribution to the Society.